I have been away on business for a week and am back just in time to post a quick and easy recipe to my Friday Food Favorites. After a quick trip away, easy is something that is definitely in order! I first tried this recipe at my friend Sarah’s home. She treated me to a wonderful luncheon and served this terrific light and delicious entree. 6 Tbs. melted butter, 1 cup 1% milk, 8 oz. Rotini pasta. Combine 4 Tbs. 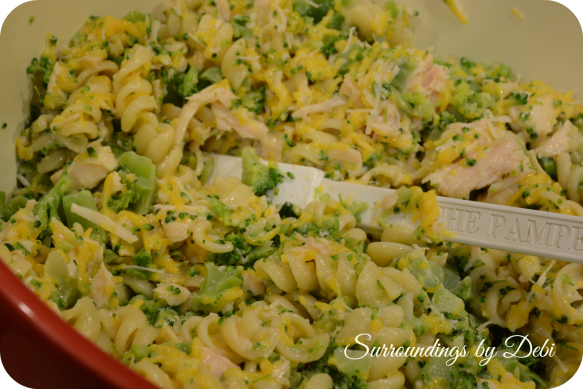 melted butter, milk, pasta, chicken, veggies and cheddar cheese in a medium bowl. Place mixture into a small baking dish. The dish I used was 9×11. 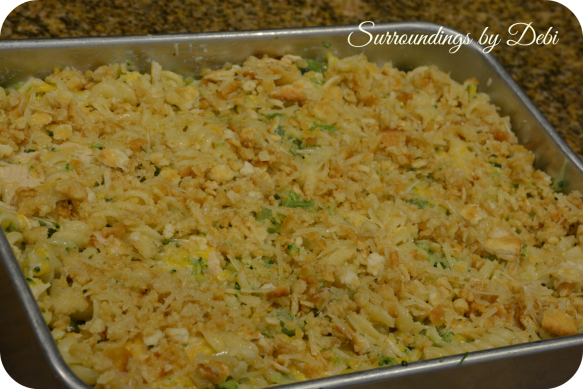 Combine bread crumbs OR crushed crackers, grated Parmesan cheese, and 2 Tbs. of melted butter in a small bowl. 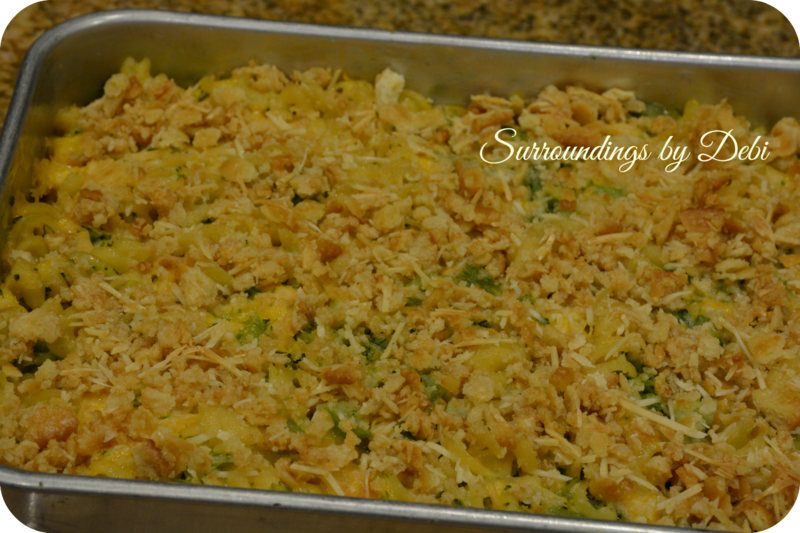 Sprinkle the cracker mixture on top of casserole. 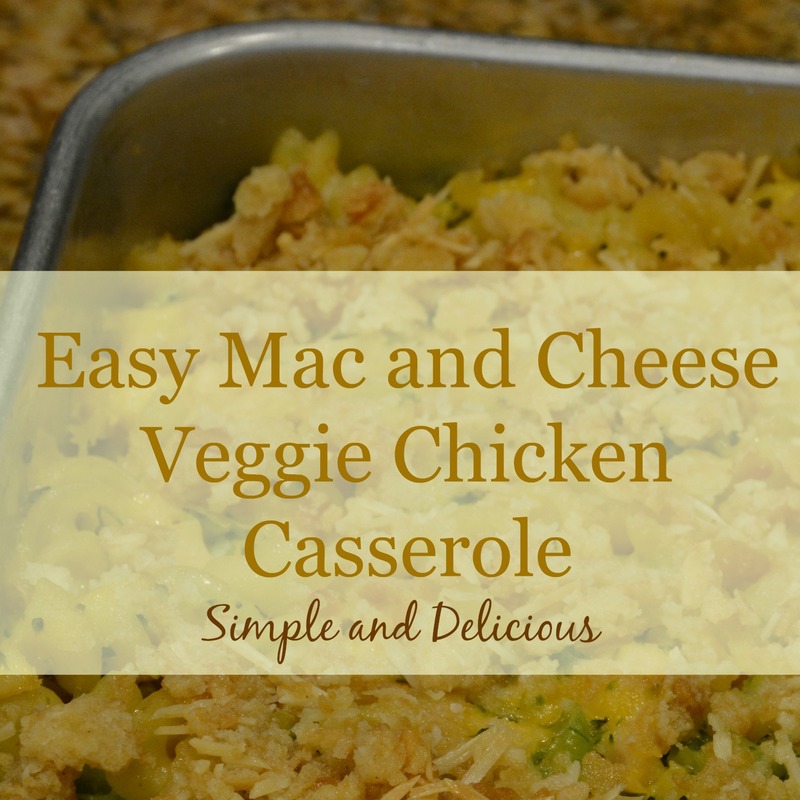 This Easy Mac and Cheese Veggie Chicken Casserole makes enough for 6 servings – the perfect amount for a small luncheon – and so delicious! Place mixture into a small baking dish. The dish I used was 9x11. Combine bread crumbs OR crushed cracker, grated Parmesan cheese, and 2 Tbs. of melted butter in a small bowl.